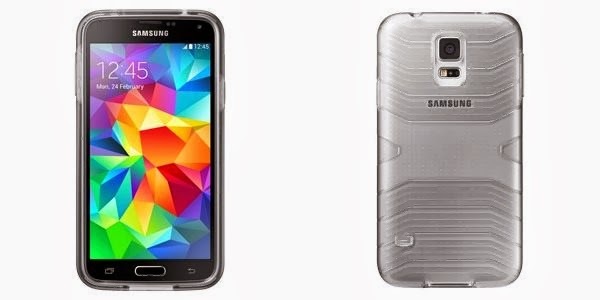 Samsung today released images of the new accessories Galaxy S5 . Altogether, there are 11 possibilities for covers and cases to protect your smartphone or allow it charge the battery via the wireless network. Among the options available , there is only a protective cover for the device, which gives you the image that opens the field . Provisions of gray color , it costs 2074 Rs and is highly resistant against impact , perfect for protecting your smartphone against unwanted falls. Below are the two models of cases with the ability to recharge the phone through the wireless network. In white and black colors , it is great to keep the battery always active through the " Wireless Charging" . This accessory costs 5675 Rs and also allows you to view the information screen on the Galaxy S5 . 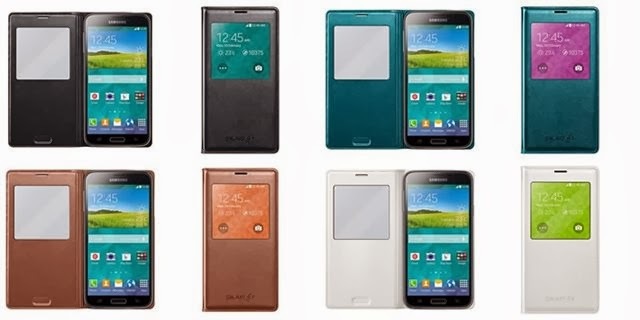 Samsung also provides several layers to cover the entire screen of the device, available in five different colors. Priced at 3133 Rs the cases do not have the functionality of the Wireless Charging, and you can find them in the image below. Finally, the company also released a cover model to display the information screen on Galaxy S5. In five colors, the case below costs 4658 Rs , but does not charge the battery from the wireless. The Galaxy S5 will be released worldwide on 11 April, and has even received a commercial during the Oscars 2014. Did any of the above cases drew attention to the fans eagerly awaiting the device?